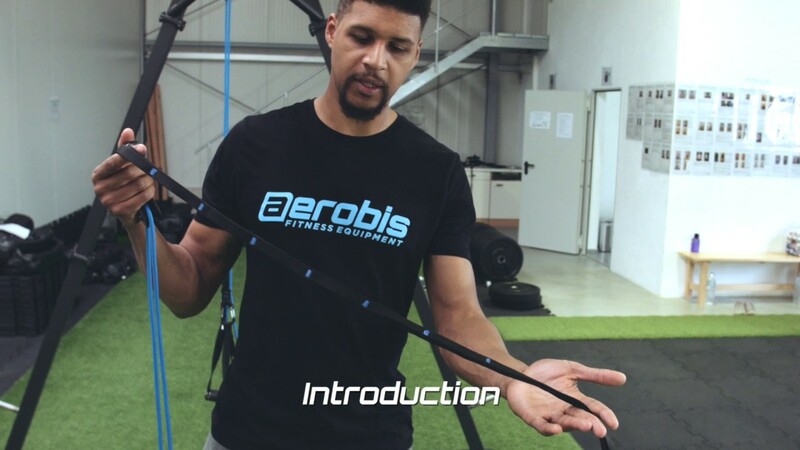 The aeroSling ELITE is more than a common sling trainer. Thanks to its integrated deflection pulley it is instable and allows for rotational exercises. With just one click you can open the grip carabiner and plug in accessories or perform exercises with a counterweight. Thus, the aeroSling ELITE is a versatile training platform and a true all-rounder. The aeroSling ELITE knows no limits. Its deflection pulley allows for dynamic movement patterns like alternating or rotational movements as well as for every known sling trainer exercise. The combination of handles and adjustable foot straps delivers countless exercise possibilities but that’s not all: the two grip carabiners connect to accessories or counterweights, increasing the exercise potential and providing progression and variation even for advanced sling training users. The included anchor sling can be used to suspend the aeroSling ELITE almost anywhere, whether it is to a door or ceiling mount indoors or to a tree or lamp post outdoors. And due to its modular build-up you can easily exchange parts like the deflection pulley or handles. All components of the aeroSling ELITE have been designed for maximal load and absolute reliability. Many users work with the aeroSling ELITE on a daily basis, either in the gym, in therapy, or with their personal training clients. Therefore we use exclusively parts that origin from climbing sports and withstand several hundred kilogram load each. For instance the deflection pulley holds up to more than 2 tons load. The handles are built of a very light and nearly indestructible glass fiber-reinforced plastic for a firm and comfortable grip. In the Set BASIC, the aeroSling ELITE comes with a wall/ceiling mount. This set gives you the optimal suspension point for your home training with the aeroSling at an advantage price.